Cooper, John M. & Hutchinson, D. S. (Eds.). 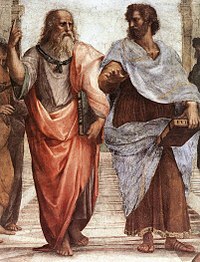 Plato: Complete Works. Hackett Publishing Co., Inc. 1997. ISBN 978-0-87220-349-5. Durant, Will. The Story of Philosophy. Simon & Schuster. 1926. ISBN 978-0-671-69500-2. Hamilton, Edith & Cairns, Huntington (Eds.). The Collected Dialogues of Plato, Including the Letters. Princeton Univ. Press. 1961. ISBN 978-0-691-09718-3. Lundberg, Phillip. Tallyho - The Hunt for Virtue: Beauty, Truth and Goodness - Nine Dialogues by Plato. AuthorHouse. 2005. ISBN 978-1-4184-4976-6. Jackson, Roy. 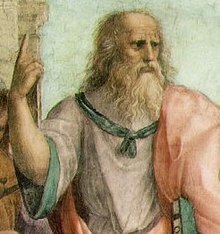 Plato: A Beginner's Guide. London: Hoder & Stroughton. 2001. ISBN 978-0-340-80385-1. Kraut, Richard (Ed.). The Cambridge Companion to Plato. Cambridge University Press. 1993. ISBN 978-0-521-43610-6. Meinwald, Constance Chu. Plato's Parmenides. Oxford University Press. 1991. ISBN 978-0-19-506445-2. Sallis, John. Being and Logos: Reading the Platonic Dialogues. Indiana University Press. 1996. ISBN 978-0-253-21071-5. Sallis, John. Chorology: On Beginning in Plato's "Timaeus". Indiana University Press. 1999. ISBN 978-0-253-21308-2.